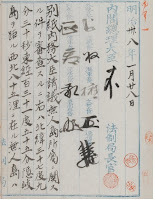 The follow document is from the "Archives of Official Documents" (公文類集), Vol.29. 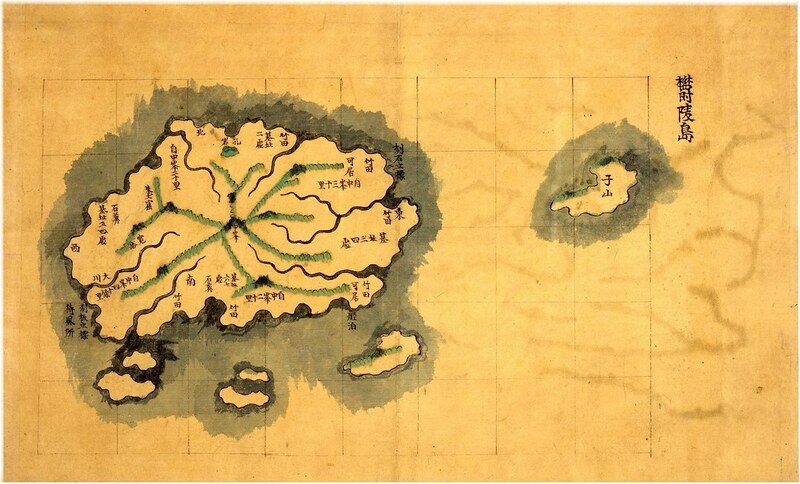 It is the record of the Cabinet decision to incorporate Liancourt Rocks into Japan's Shimane Prefecture and to rename them "Takeshima" (竹島), based on a petition HERE, by Japanese businessman Nakai Yozaburo (中井養三郞), . We have examined the proposal by the Secretary of the State for Home Affairs, concerning an uninhabited island. 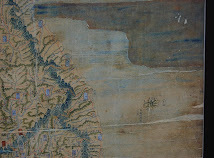 As to the uninhabited island at 37º 9' 30" N and, 131º 55' E. and 85 nautical miles northwest of Oki Island, there were no traces of occupation by any other countries , and since a Japanese named Nakai Yozaburo recently petitoned to incorporate the island and then lend it to him since he began sea lion hunting at the island two years ago in the 36th year (of Meiji, 1903), built a hut for fishery, tranferred laborers, and got proper fishing gear, we need to clarify the prefecture to which it will belong and the name of the island. 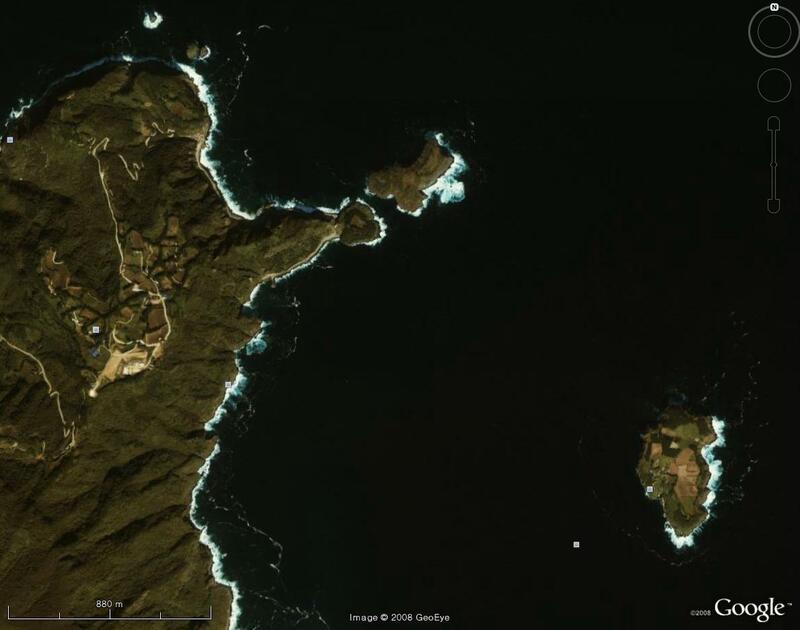 The proposal suggested that the island be named Takeshima and put under the jurisdiction of the local government of Oki Island of Shimane Prefecture from now on. 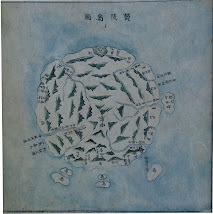 We have examined the matter and found that there is, in fact, occupation under international law, as it is clear from related documents that Nakai Yozaburo moved to the island in the 36th year of Meiji (1903) and has been engaging in fishery there; therefore, we think we can incorporate the island into Japanese territory and put it under the jurisdiction of the local government of Oki Island in Shimane Prefecture. Therefore, we submit that it is reasonable to allow the Cabinet to carry out the decision as proposed. Thank you, it looks beautiful ! 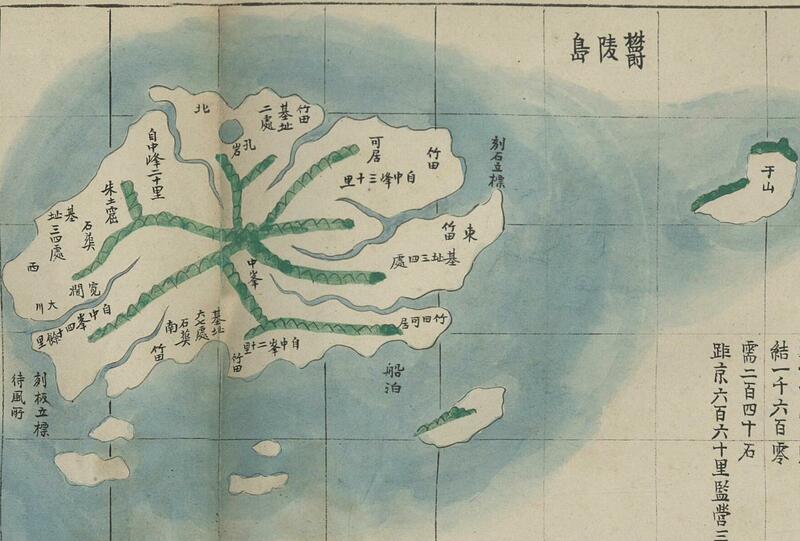 By the way, is it possible to arrange the title to "1831 May 14 - Record of Ulleungdo Inspection " style? I think it will be useful when we want to check the post later, since not all words of the title shows up on the right side. And if we put the year first, it will be a clue to find the right article faster and easier. This is just my opinion, but what do you think? Thanks. How does it look? is this okay? Are you it says Nakai "moved to the island..?" This is impossible. Liancourt Rocks had no fresh water and could not have supported any sustained presence there. Where does it say he "moved there"? Title by "occupation" and claim by terra nullius "ownerless land" is a kind of contradiction in itself. I think claim by "occupation" requires continuous uninterrupted activities on a territory. 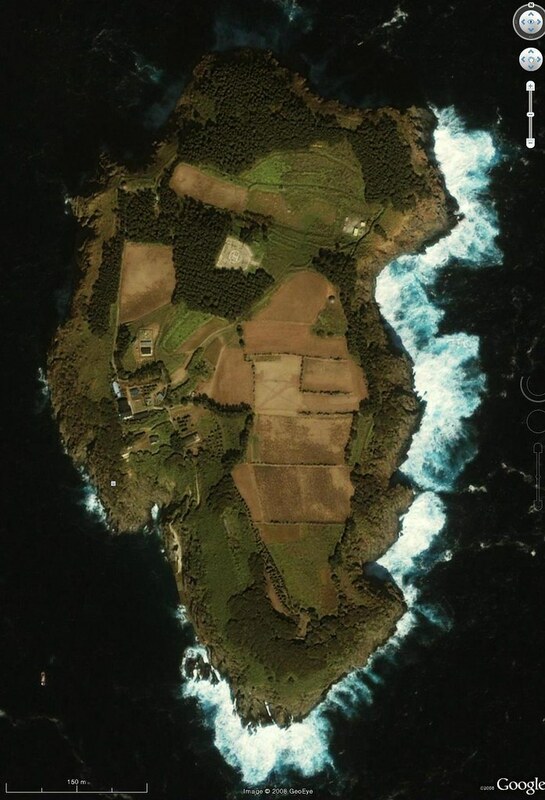 Nakai's "house" was gone in 1904 when the Tsushima surveyed the island, his acitvities there were seasonal. Nakai Yozaburo did not "move to" Liancourt Rocks in 1903. He was an illegal squatter on Ulleungdo who changed his business from poaching Korean fish on Ulleungdo Island to sealing on Liancourt when the price of seal products went up. 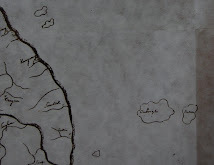 BTW, I have seen that those who post here use the term "uninhibited island" it should be typed as "uninhabited". Thanks for teaching me English. You are right, it must be "uninhabited". 1) Nation should be mainly concerned. 2) The land should be nobody's land (terra nullius). As to Japan, all the four requirements were fullfilled. It was nobody's land ("there were no traces of occupation by any other countries"). And Japan declared it in 1905. And Japan effectively controlled the island untill Rhee Syngman brutally robbed the island. Nakai began sea lion hunting in 1903 and continued his business. It is not important to live there, more important thing is to use it effectively - Nakai built a hut, hired many fishermen or hunters (maybe including Korean fishermen) and continued his lion hunting business through the years. However, as to Korea, they don't have a right to own it because it was NOT nobody's land as Japan had already owned it for almost half a century before Korea occupied it. As long as it was unlawfully occupied, it has not been effectively controlled, Japan has claimed for all through the 55 years since the unlawful occupation. Professor Pacifist, I don't care for your Law 101 class so save your breath. All I'm concerned about it Japan's 1905 Shimane Prefecture Inclusion and if the grounds they used to include the islands are valid. 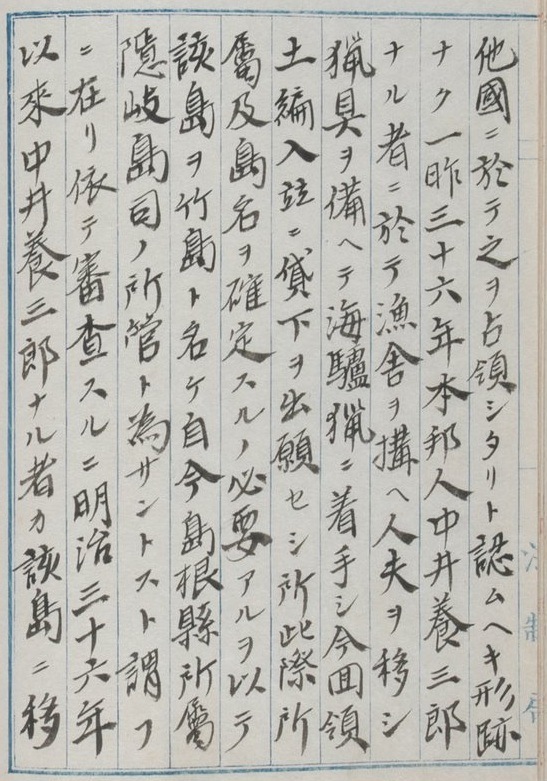 From what I see by your translation there is a serious problem with Japan's 1905 claim just on this one document. I wasn't drawing on any "stock" of Korean arguments, you are the first person I've heard say that it was a common Korean quote. It's the also first time I've seen the document translated in English and I'm starting to see that this announcement is flawed already. 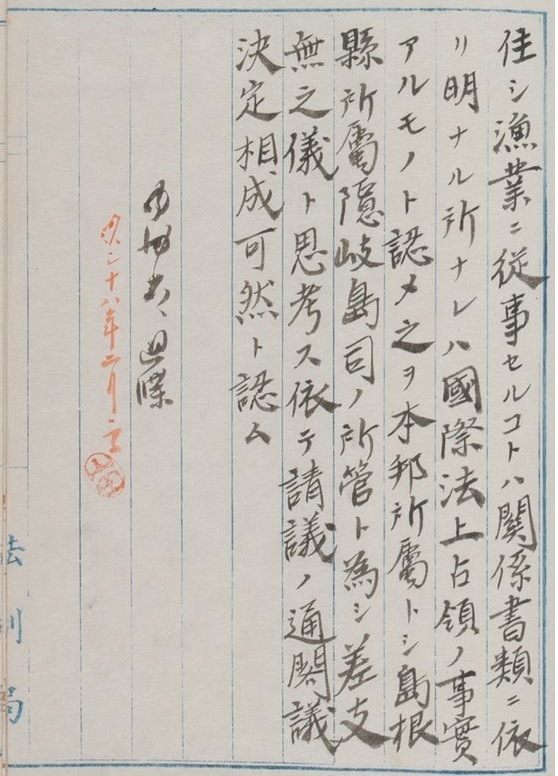 It does appear to say that Nakai Yozaburo moved or migrated to Liancourt which is definitely not the case. In fact even in the fall of 1904 the Niitaka's logbook records that Nakai who hunted seals on Liancourt Rocks did so from Ulleungdo. 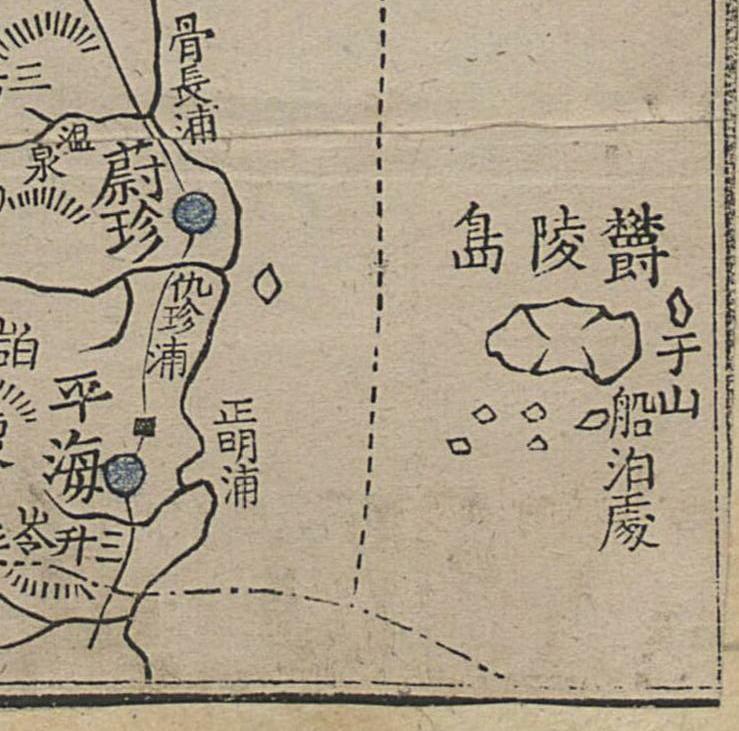 Knowing what we do about Liancourt Rocks, it doesn't seem plausible they could claim the island on the legal doctrine of "occupation" This document shows a big flaw in the Japanese claim to Takeshima. It's possible Nakai lied to the Japanese government and told them he was actually living on Liancourt Rocks. Perhaps he was afraid to tell them he was illegally running his business on Korean soil. My little student Steve, I'll repeat to say that living there is not important. 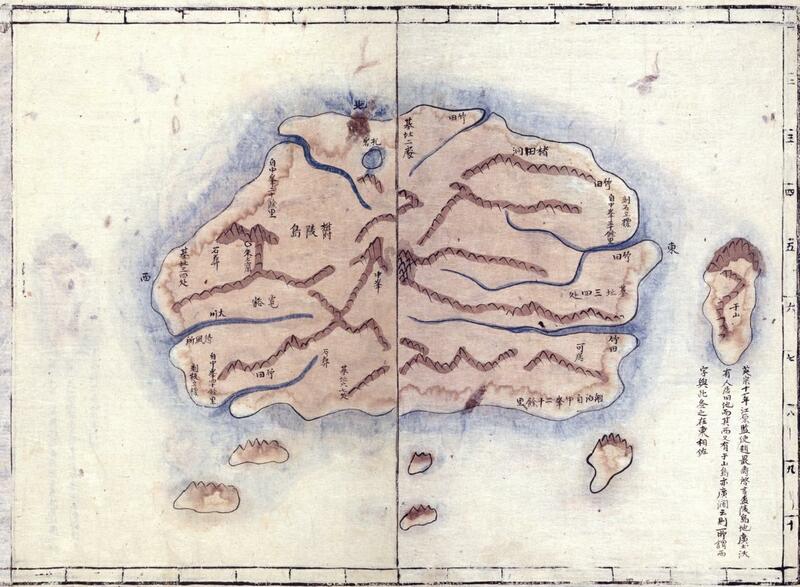 The most important thing is to effectively control the island. Nakai continued his business to hunt sea lions at Liancourt rocks still in 1904, 1905. And there was no Koreans except Korean fishermen who were hired by Japanese. 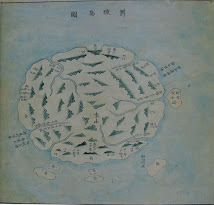 Japanese controlled the island. 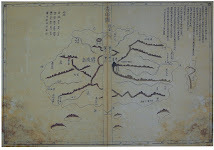 Since the ancient times, Koreans had never ever reached the island, at least there had been no single record that they reached the island. So anyway, the occupation by Korea is unlawful thing. This is a very belated reply, but I wrote this one for your comment. 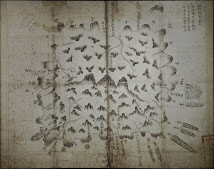 Do you think Japanese cabinet's decision to incorporate Dokdo into Japanese land is righteous? It's not because of the following reasons. 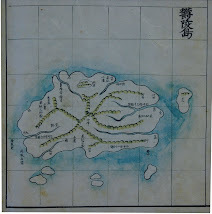 First, Japanese cabinet said "there were no traces of occupation by any other countries", but there were many traces suggesting that Dokdo might have been occupied by Korea. What evidence Japanese cabinet used to get to this conclusion? Had the Japanese government ever attempted to inquire Korean which was the most proximate country? 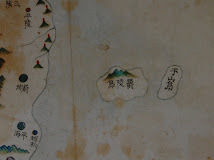 Japan may say there were no obvious evidence Korea occupied Dokdo, but Japan can't deny that at least there were traces(形迹) of occupation by Korea. 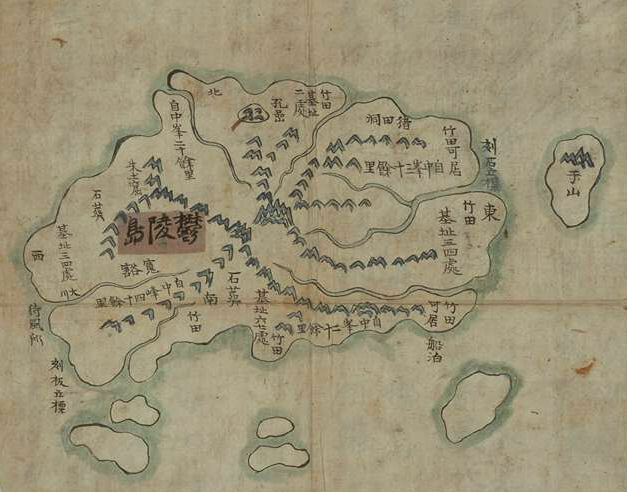 There are many documents and maps showing traces (形迹) of Korean occupation of Dokdo such as Korean Emperial Ordinance No.41 and Japanese government's official document "太政官指令". At least they must have been the evidence of the traces of occupation by Korea to the eyes of Japan. 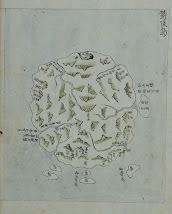 Nakai Yozaburo later said in a personal history that he at first considered Dokdo belonged to Korea and intended to ask the Resident-General in Korea for leasing Dokdo. His initial recognition on Dokdo as Korean land indicates other Japanese fishermen trespassing to Ulleungdo and fishing in Dokdo like him also accepted Dokdo as Korean territory.
" The gains would be extremely small while the situation would become grave by acquiring a barren islet suspected of being Korean territory during this war time with Russia. It would amplify the suspicions of various foreign countries that Japan had an ambition to annex Korea. 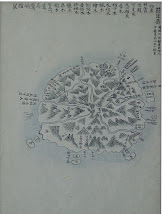 In spite of these traces, Japan didn't inquire Korean government of anything about ownership of Dokdo, instead Japanest government proceeded the incorporation of Dokdo for Japanese military interests. Additionally, to confirm the ownership of a land, there shouldn't be the nations' protest. Japan says Korea didn't protest, but Japan didn't give Korea an opportunity to protest against Japanese incorporation of Dokdo. One year later, Korea could know Japanese incorporation of Dokdo by oral notification from Japanese officials in 1906 and protested. Thus Japanese unilateral decision without prior consulting with Korea which has the trace of occupying Dokdo can't be valid. Second, Japan cabinet's decision was based on the falsehood. Japan says Nakai Yozaburo moved(移住) to Dokdo, but he didn't. He did his first fishing in Dokdo in May, 1903, and he went to Tokyo in Aug.1904 to find a way to ask Korea for the lease of Dokdo. Did he live there for a whole year? Absolutely not. How could he live there without fresh water? 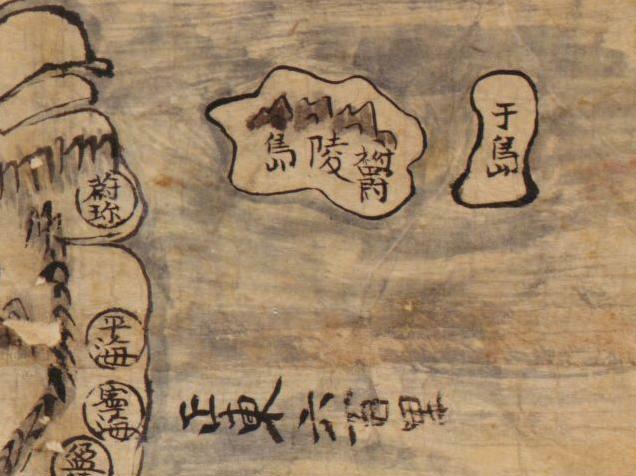 The record of logbooks of the Japanese Warship Niitaka prove people can't live there. All he did was fishing a couple of times for one year in Dokdo which he considered as Korean land. Pacifist said "It is not important to live there, more important thing is to use it effectively." Nakai Yozaburo 's temporary illegal fishing activity in foreign land building a hut for a fishery (漁舍) have nothing to do with effective control on land. 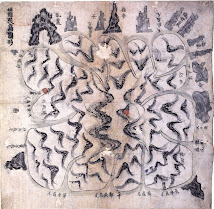 Nakai´s involvement with Dokdo was part of the illegal Japanese trespassing on Ullungdo. Moreover, international law requires nation organ's involvement in exerting effective control on a land. 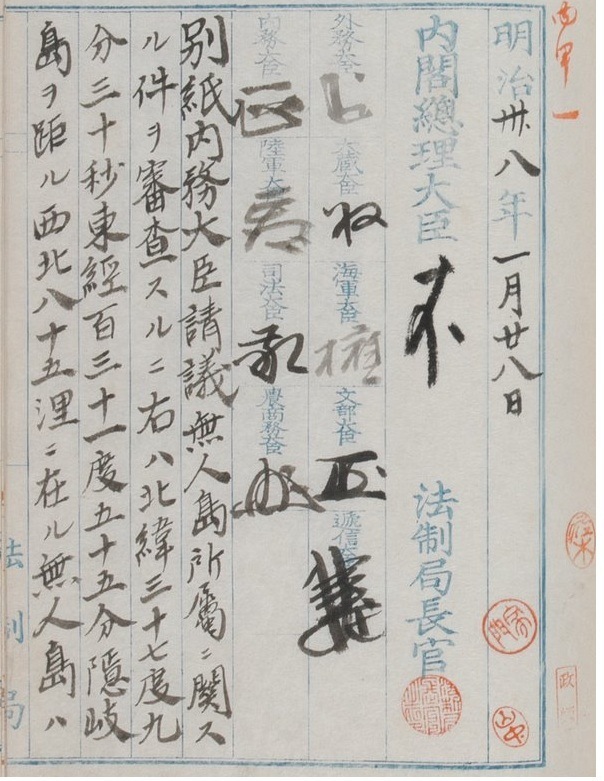 Nakai Yozaburo was not fishing under the permission of Japanese government before 1905, His illegal individual involvement with Dokdo can't be taken as display of sovereignty on behalf of Japan. No matter whether Japanese government was lying or Nakai Yozaburo was , Japanese cabinet' decision based on the falsehood can't be effective. Third, Japanese cabinet's decision on Dokdo incorporation was in violation of Article3 of Korea-Japan Protocol of 1904. "The Imperial Government of Japan definitively guarantee the independence and territorial integrity of the Korean Empire." Japan was supposed to preserve Korean territory Dokdo, but she didn't while fully enjoying what was provided by this unfair treaty. It's no wonder why Japan incorporated Dokdo in a clandestine way and verbally notified Korea one year later when Korean diplomatic right was completely deprived by Japan. 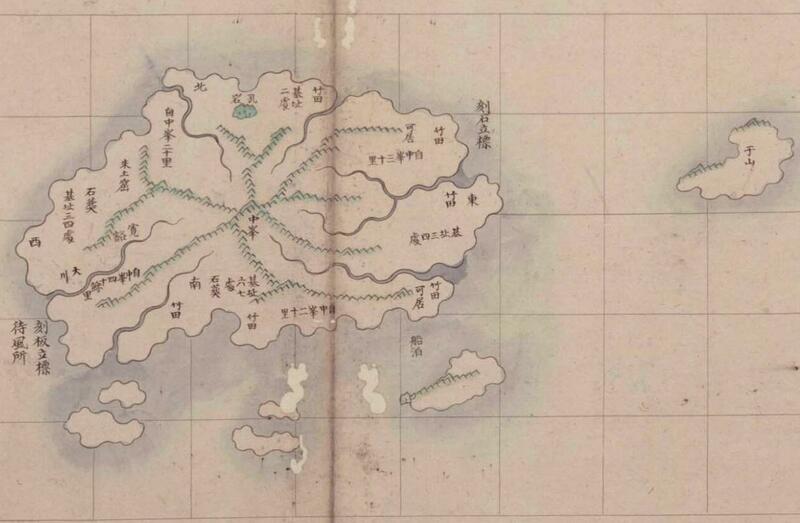 In 1905, Japanese government lied Japan incorporated Dokdo because there were no traces occupied by other countries. 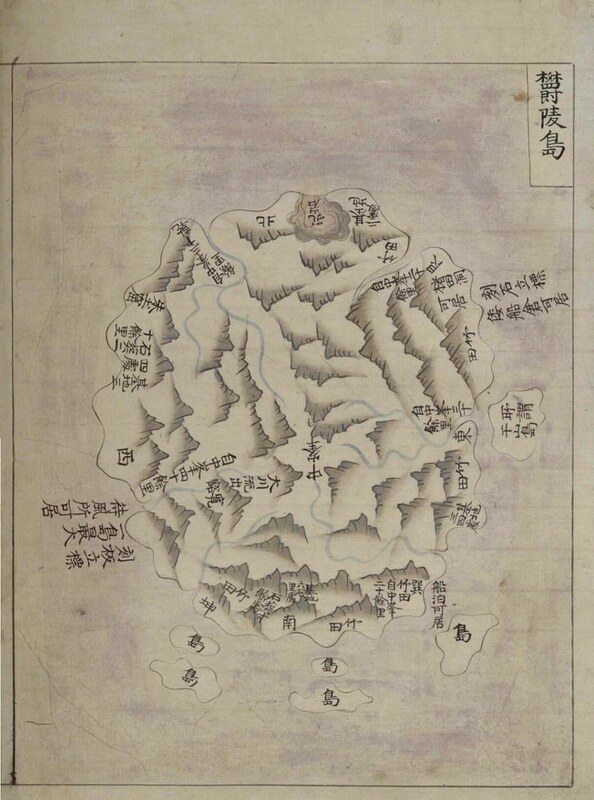 Today Japanese government is lying that Japan established sovereignty over Dokdo by the middle of 17th century, thus Dokdo is a Janapese inherent land. Surprisingly, Japanese government is ready to teach this self-contradicting lie to Japanese young generation. When will the Japanese government stop lying on the Dokdo issue?